Eating a healthy diet and that too at regular intervals can help increase and sustain your energy levels. Proteins, carbohydrates and healthy fats supply the required energy that your body needs to function powerfully. 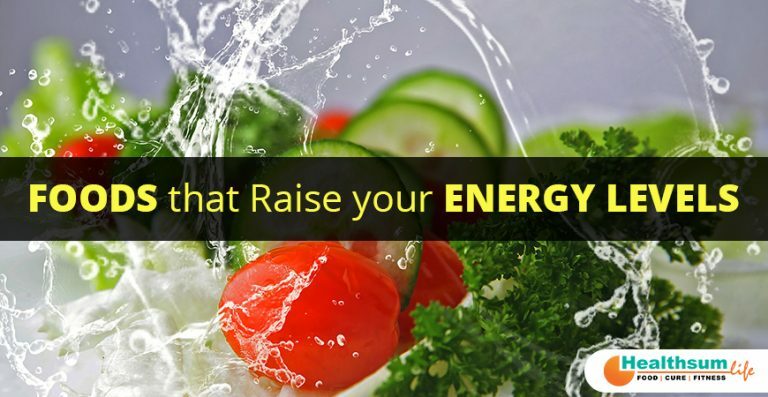 There are multiplicities of factors that can influence your energy levels, which include sleep patterns, overall health, and caloric intake, but eating certain foods can provide you with the important nutrients that are considered necessary to boost your energy levels. Coffee is known to heighten your energy levels. Caffeine is present in many beverages and foods, like coffee, chocolate, tea, energy drinks and in soft drinks as well. Caffeine is known to fuel the central nervous system, improve your alertness, raise your mood and give you a short-term boost in energy that usually lasts up to 6 hours. It must be consumed in moderation else it may lead to anxiety, disrupted sleep, dizziness, and headaches. Fresh fruits like pineapples, apples, bananas, oranges, blueberries, and strawberries can provide energy to your body. These fruits contain vitamins, minerals, antioxidants, fiber and water which are essential for your body. It has been estimated that fruits and fruit juices supply you with a speedy boost of energy before the workout. Give eating yogurt a try before exercising or dinner, you will notice elevated energy levels. Yogurt has protein and carbohydrates along with essential nutrients that supply great energy and leave you feeling fuller. Smattering some crunchy cereal as a topping on your yogurt can provide added carbohydrates. Nuts such as almonds and walnuts provide you with additional energy. These nuts are rich sources of healthy unsaturated fats that help you stay full for a considerable amount of time. They also hold healthy amounts of fiber, vitamin E, selenium and omega-3 fatty acids, which are counted among the essential nutrients that help your body function appropriately. Some of the other food sources include oils such as olive, canola, nut and soybean, seeds, tuna, and salmon. Including protein-based foods into your daily diet can really help in raising your energy levels. These protein-based foods supply the fuel your body needs to make and repair tissues. Foods like lean red meat, beans, fish, poultry, milk, nuts, peanut butter, tofu, soy milk, yogurt, and cheese are rich sources of protein. With progressively more busy lives, majority of people often find themselves feeling tired and shattered. Try including the above foods to your eating calendar, you will notice the change they bring to your health and body. Healthsum Life believes that adopting healthy eating habits is worth it and thus provides an ecosystem to our users where Regional Food can be used for Health Management. With our app, tracking your healthy habits and turning your unhealthy habits to healthy ones becomes a breeze.